Connect your PCs, electronic devices, and mobile devices to the next generation in USB technology, USB 3.0. 10 x faster than the traditional 480Mbps limit of USB 2.0, 6 x faster than Firewire 800, and 2 Gbps faster than eSATA, USB 3.0 transfers speeds at up to 5Gbps, surpassing any external connection in the market right now. Also, USB 3.0 is bidirectional (can upload and download simultaneously). 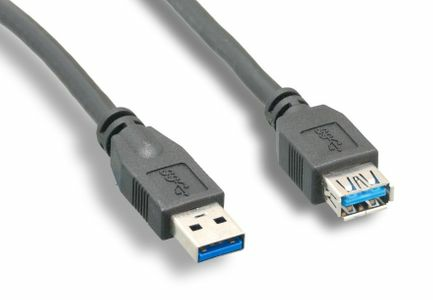 This USB 3.0 cable is RoHS compliant and backwards compatible with USB 2.0/1.1.